The right amount of nicotine in e-liquid is crucial to a pleasurable vaping experience. When you want a strong throat and lung hit that reminds you of a full-flavored tobacco cigarette, try NICMAXX e-liquids. NICMAXX is trusted by 9 out of 10 smokers to provide a satisfying vaping experience. Vapes are viable alternatives for smokers who’ve had enough of cigarettes. E-cigarettes provide the same pleasure as real tobacco by heating a solution called e-liquid. This solution produces the vapor released by the e-cig and contains nicotine juice to give vapers the stimulant they crave. Artificial flavoring is also mixed into the e-liquid to give character and depth to the vape. Heavy smokers often have a hard time adjusting to vapes. They continue to crave for the tobacco and nicotine hit that actual cigarettes give. This is the problem that NICMAXX wants to solve, by creating vaping products that will let you feel like you are smoking an actual cigarette. NICMAXX e-liquids are made from high-quality ingredients. Our e-juice has the proper ratio of propylene glycol (PG) and vegetable glycerin (VG) to produce enough vapor and sharpen the flavor of the vape. We use high-quality nicotine and use the stimulant in varying strengths to give options for different vapers. We also spice up our e-liquid with spot-on flavors; we stick to classic tobacco and menthol to mimic the cool and strong effect of smoking. To complete your vaping experience, use e-liquids by NICMAXX. Our strongest nicotine liquid has 36 mg concentration while the mildest has 3 mg. For heavy smokers who want to slow down on their nicotine intake, try our 24 mg e-liquids. This concentration will give you that strong throat and lung hit that you can get from a strong cigarette like Marlboro Red. 24 mg nicotine liquid is ideal for heavy smokers who consume one pack per day. Moderate smokers can opt for the 6 mg while vapers who have mild cravings for nicotine can try the 3 mg e-juice. Choose the right formula of e-liquid for you and vape like you are smoking an actual cigarette. NICMAXX sells 24 mg e-liquids in MAXX and MAXX menthol flavors. Our e-liquids are packaged in childproof bottles to avoid accidents involving pets and children. E-liquids are signature products of vape companies and differentiate one brand from another. NICMAXX e-liquids are high-quality products guaranteed to give you a satisfying and consistent vaping experience. We are one of the industry’s pioneer brands, and have almost a decade of experience in the vaping business. Try the vape made by smokers for smokers! Order NICMAXX e-liquids and other vaping accessories. We deliver anywhere in the US. 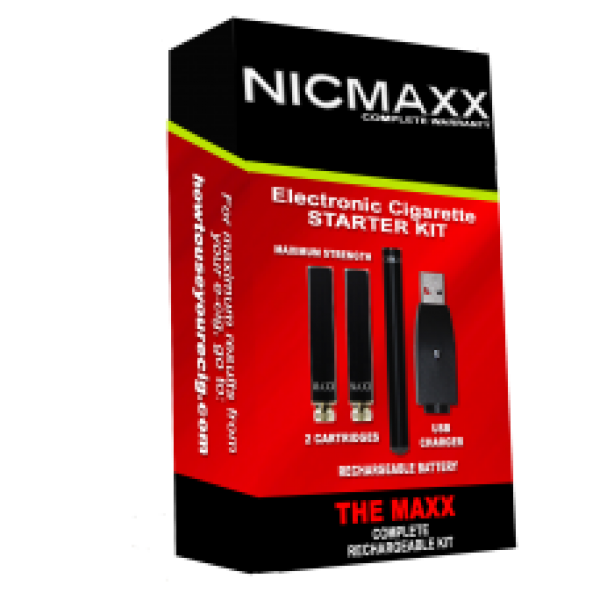 Order today to find out why 9/10 smokers prefer NICMAXX!